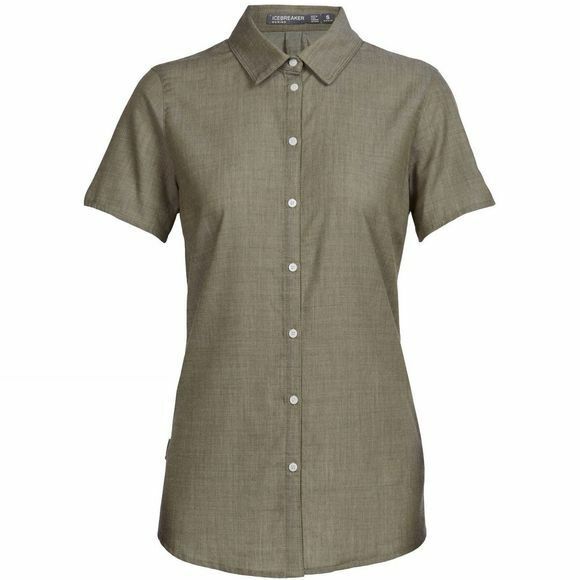 A light and breathable summertime button-up that’s perfect for mellow hikes, warm-weather travels or care-free days by the water, the Women's Kala Short Sleeve Shirt is unassuming yet technically capable. Made with Icebreaker's 150g/m² Cool-Lite fabric, which blends soft merino wool with natural Tencel and polyester, the Kala breathes efficiently and dries in a flash while retaining next-to-skin softness. The loose, rolled-up sleeve construction, sculpted hem and rear pleat add a feminine touch.